One area of Japanese culture that continues to confuse many foreigners is the communication style. The Japanese are known for their very indirect, diplomatic and sometimes painfully polite way of communicating. This communication style leaves many foreigners scratching their heads, unable to work out what is actually trying to be said, or not said. Much of the time the need to protect face, show deference to hierarchy and follow protocols prevents people from expressing themselves truthfully. Nominication is a combination of two words which are 飲み (Nomi) and communication. It is a fascinating and a well-established cultural practice within business that allows for open and frank discussion between team members, colleagues from different groups or levels of seniority. Simply put, it is about communicating with the help of alcoholic drinks. As people find it very tough to express themselves freely for fear of upsetting harmony or showing disrespect, nominication has become an acceptable outlet for the Japanese in terms of giving them a way of speaking their minds without consequence. Nominication can take many forms like parties and gatherings, bonenkai (end of year drinks party) and even just going for drinks and a karaoke during the week after work. Bars and restaurants will actually have special deals on drinks for such get-togethers. It is very common for Japanese colleagues and their seniors to go out together, and once the mood allows, to be able to share opinions frankly with one another. For example, managers will usually take out their teams, and once the drinks are flowing, discuss issues in the office that are deemed too sensitive to talk about there. 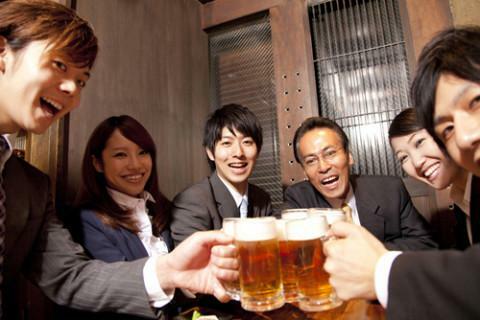 It is also the most common form of team bonding or building within many Japanese workplaces. For foreigners this is equally as important and should be capitalised upon. For those that don’t drink alcohol, it’s still possible to make excuses for skipping the alcohol and still attending such get togethers. Want to learn more about doing business in or working in Japan? We have two online courses - Intro to Doing Business in Japan and a more Advanced level, Working with the Japanese.